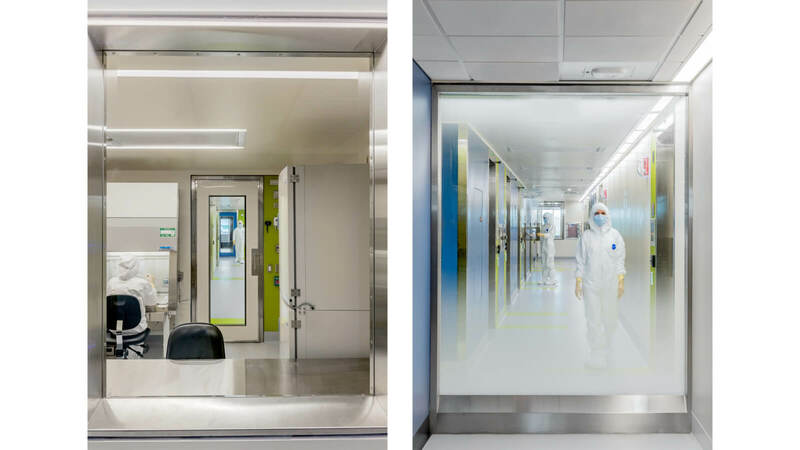 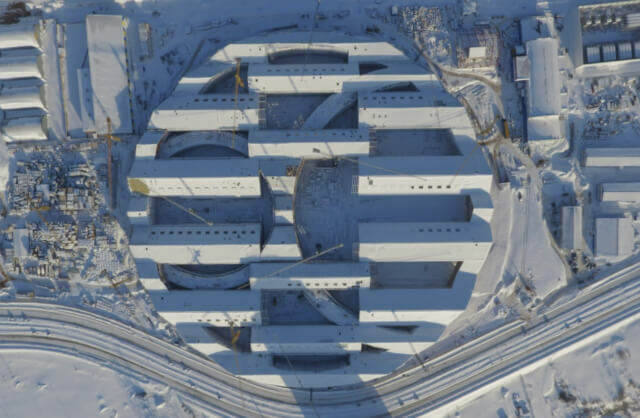 This project challenged the team to make a home for researchers and technicians who are on the forefront of perfecting novel cancer treatments. 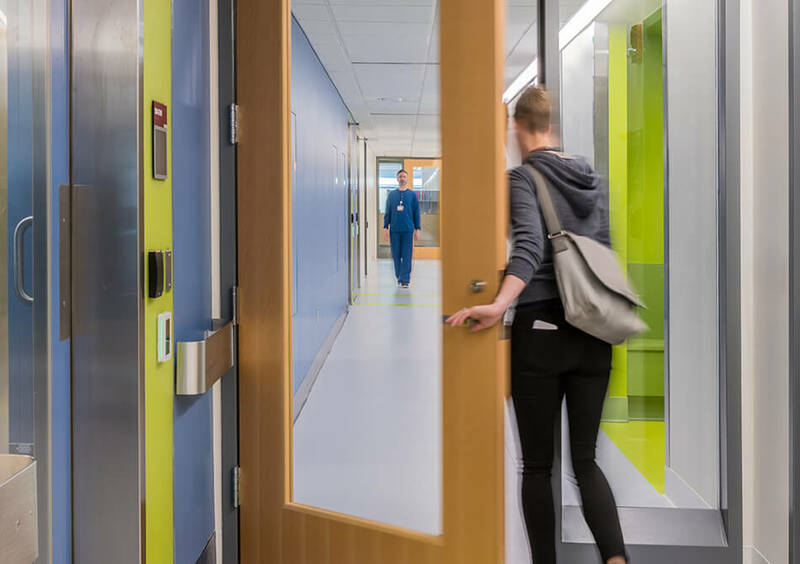 Far too often designed merely to meet regulations, the typical response to this program is a sterile sequence of windowless rooms, lifelessly at odds with the mission of saving lives. 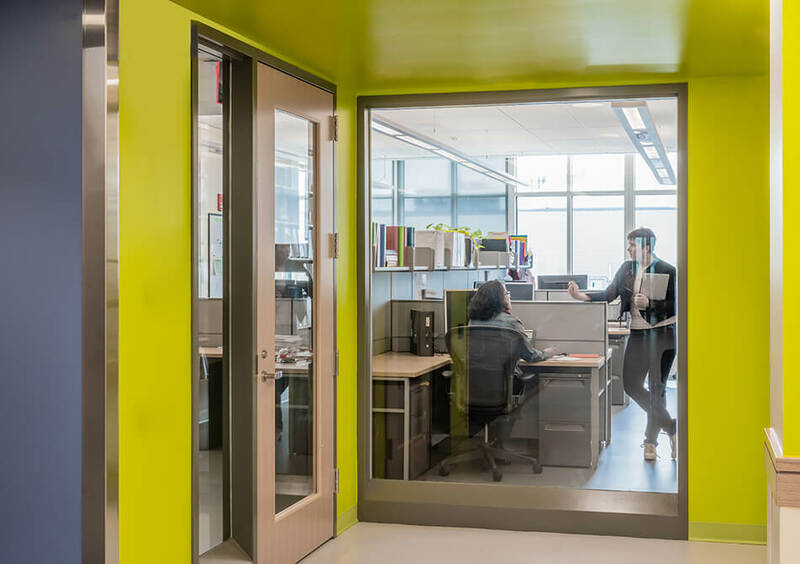 We focused on humanizing the space by tempering the experience of stringent environmental controls to create a lively, light-filled environment. 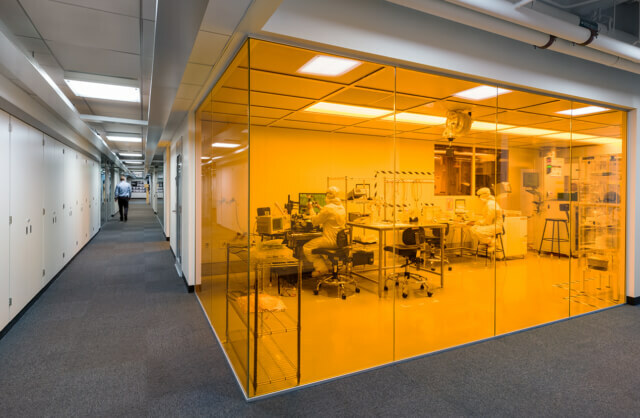 At the heart of the facility are two suites of cleanroom pharmaceutical labs with a shared core of support and locker rooms. 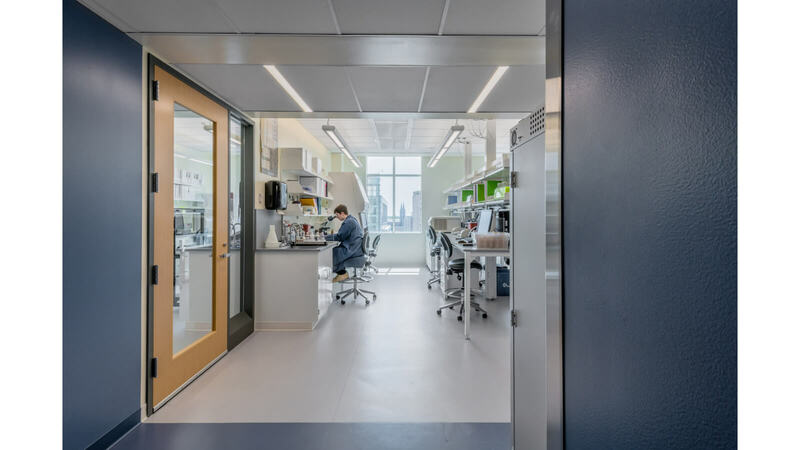 One suite, Stem Cell Therapy, is dedicated to the production and processing of FDA-approved, customized treatments for patients. 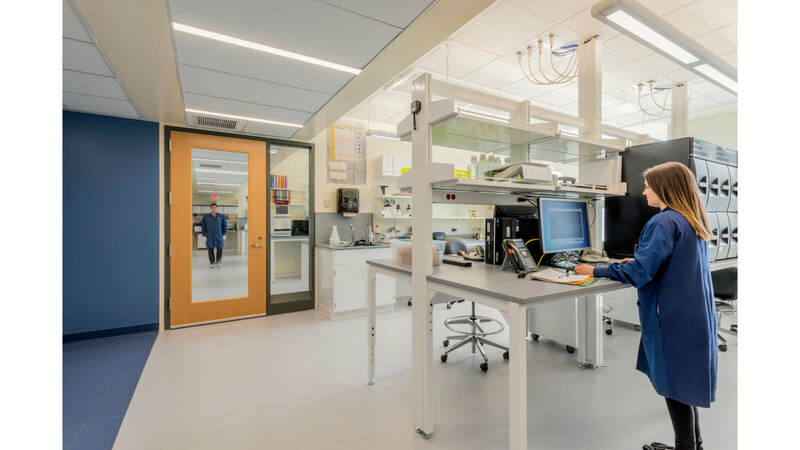 The second, Novel Cell Therapy, is dedicated to clinical research trials of experimental therapies. 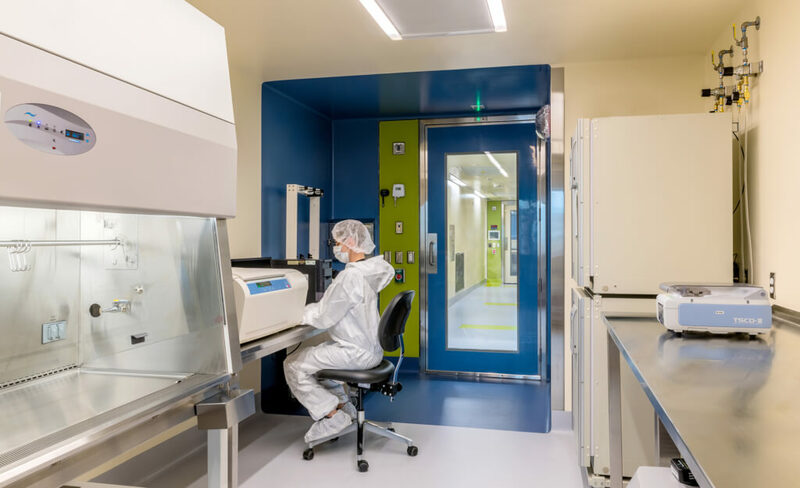 These processes demand sterile, aseptic conditions, which require multiple airlocks, carefully sequenced personnel and material flows, extremely durable finish materials and sophisticated ventilation systems. 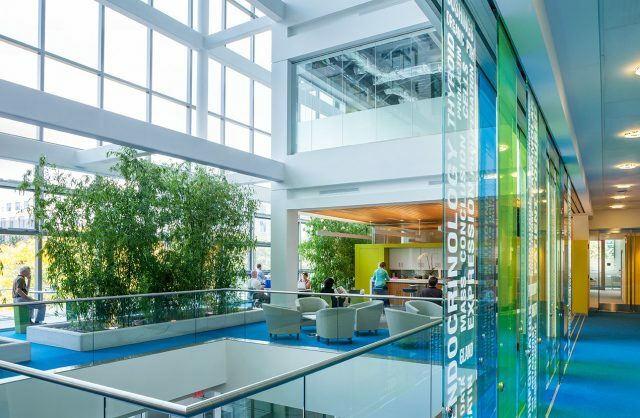 Behind the scenes, a new high-efficiency mechanical system dramatically reduces energy consumption. 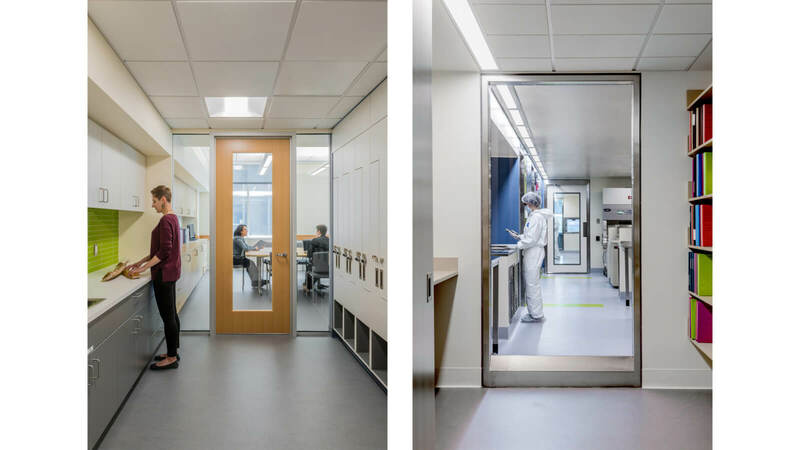 The design transforms a wide, deep floor plate, cluttered with existing shafts, into an intimate, open plan that belies its many-layered regulatory barriers and intense mechanical systems. 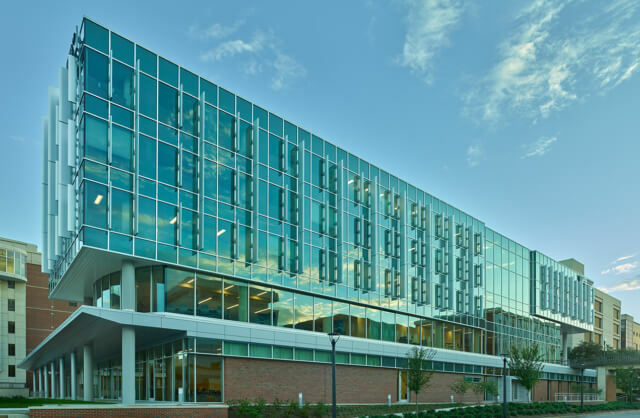 To bring in daylight and give staff views to the outdoors, we designed a double wall that isolates the Stem Cell Therapy suite from the existing curtainwall, permitting exterior windows from within the cleanroom environments. 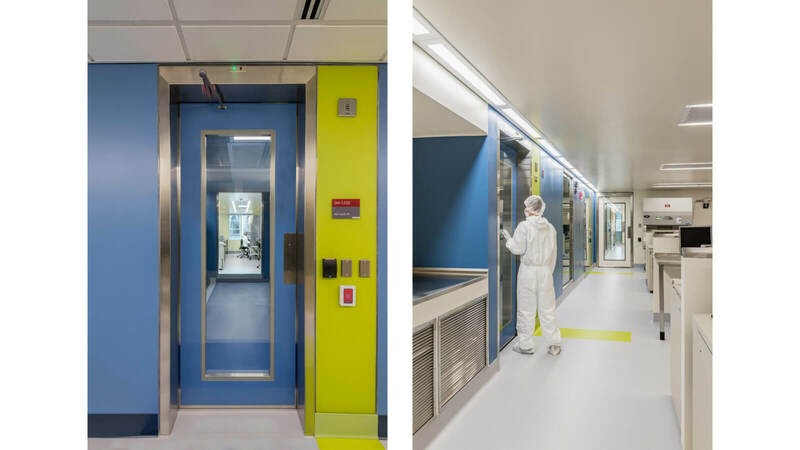 A series of portals marks passage into ever-increasing levels of cleanliness, underscoring the precautions taken to assure patient safety. 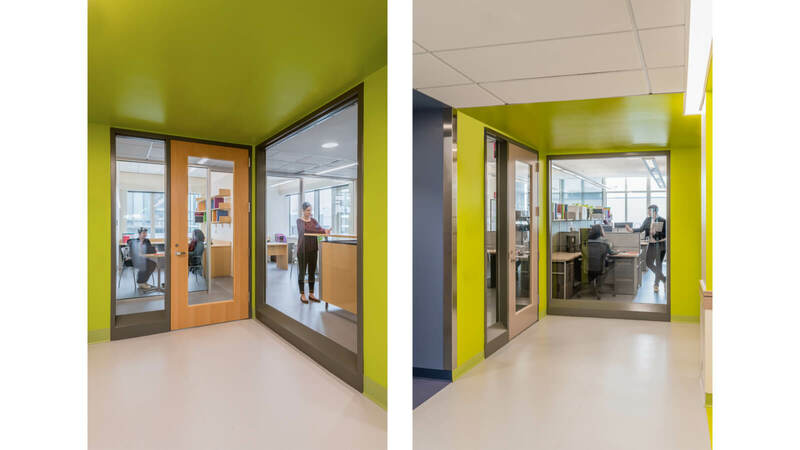 The colorful portals brighten the visual environment and enliven the rituals of daily work. 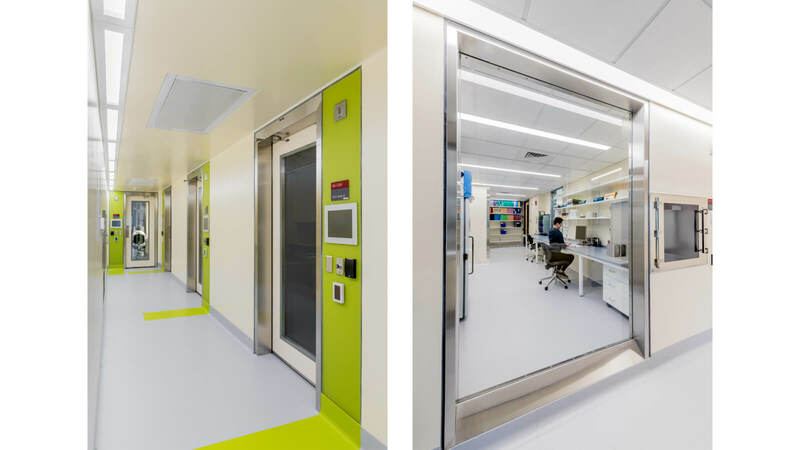 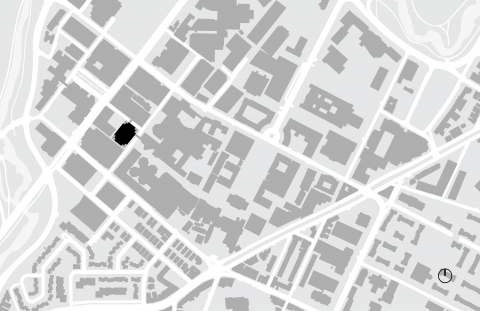 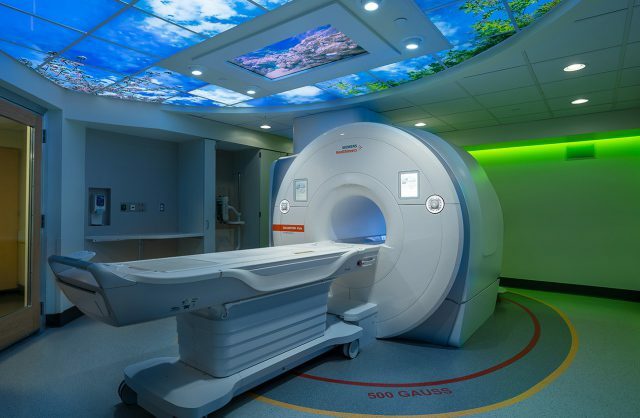 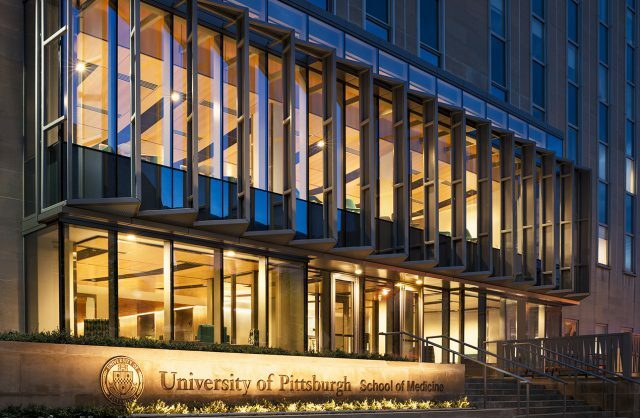 Instead of a windowless maze, here researchers and visitors enjoy clear views between units and to the out-of-doors – and a view to the future of cancer treatment.